Bjørn Jeppesen started Nattefrost in October 1995. In May 1996 an MC “Når månen er fuld” was released. It was limited to 80 copies and quickly sold out and given away. In April 1997 another MC was out and like the first one this one was also quickly gone. The first Nattefrost CD “Nordboernes solhvervsfest” was released on the 1st December 1997 on his own Nattefrost Productions. It was an EP and again it was very limited since it was mostly produced for promotional purposes. From 1997 – 2004 there were no Nattefrost releases although Jeppesen worked a lot on new material. But since he was also busy with his band Carboneids it took that long time until the next release. In 2003 The track “Slaget som varede evigt” was included on the ”From the Nulll void” compilation released by Belgian Nulll Records. Nattefrost has always been very inspired by the ancient Scandinavia so it wasn’t a surprise that the 2 next releases were entitled “De som sejrede...” (Those who conquered) & “Vejen til Asgård” (The road to Asgard). The 2 CDs were released in April and December 2004 by Nothingness Records in Belgium. In 2010 they got re-released as the CD “Repackaged” with 2 previously unreleased bonus tracks. The track “Valhal” was included on the CD compilation “E-dition Vol. 9” released by the Dutch label Groove Unlimited. Nattefrost had just signed a contract for the next album so this was a teaser. In May 2006 “Absorbed in dreams and yearning” saw the light of day with great success. The inspiration for this album was still very much ancient Scandinavia. It got a lof of attention and good reviews from zines and radio stations around the world. At that time Nattefrost hadn’t done more than a few live shows but in the middle of 2006 Jeppesen decided to prepare some stuff for coming live shows and a good way to perform the music live since there were a lot of requests for that to happen. In April 2007 “Underneath the nightsky” was released by Groove Unlimited. This time Phil Molto aka Robert Schreoder participated and played the guitar part on the track “Winterland”. This time the musical elements were developing to the more spacier sounds. Nattefrost did 1 live show this year – in Copenhagen, Denmark. Nattefrost was and still is reguarly aired at lots of radio stations world wide. In 2007 BBC featured some tracks once in a while. Also radio stations in Germany, Spain, Mexico and the US have been giving the Danish musician a lot of regular airplay. “Transformation” was released in March 2008 - again by Groove Unlimited. And this time with 2 tracks co-composed with Robert Schroeder. “Kopenhaachen” & “Perfectly connected”. In May Nattefrost celebrated the release with a live concert in Wuppertal, Germany. The last 2 tracks were performed together with Robert Schroeder live on stage. Alongside releasing his own albums Nattefrost also remixes for other artists, In September 2008 for the Danish icon Alouise. Her CD single “Hjertestop” was released with the Nattefrost remix. In 2009 Nattefrost did a lot of live shows starting at Fermaten in Herning, Denmark as the other act with Danish artist “Oh Land”. 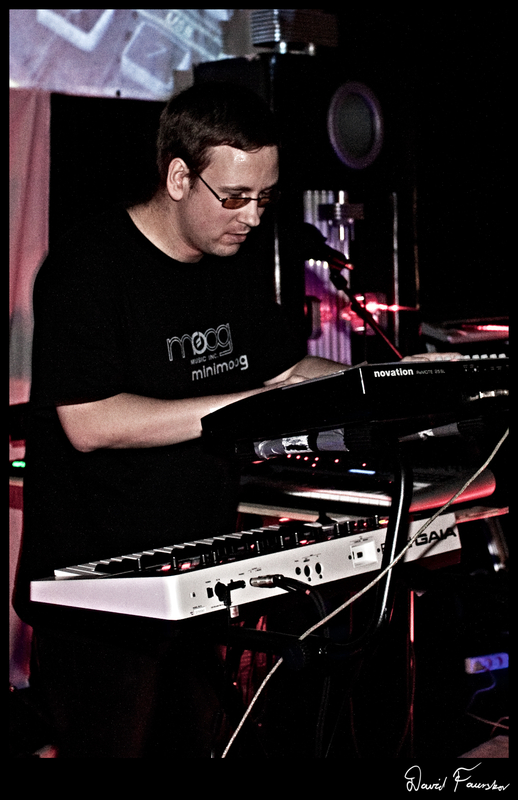 Later performing at the Electronic Circus in Bielefeld, Germany. That same year Jeppesen also did several radio and tv interviews. And continuing in 2010 with more live shows for example twice as double act with the charismatic “Heidi Mortenson”. In March “Live in Germany” was released. The CD consists of tracks from the Wuppertal 2008 & Bielefeld 2009 gigs. The 2004 track "Urskovens ansigt" was included in the soundtrack to the short movie called "No Exit" by Jesper Isaksen. The DVD was released in May but the movie was already shown for the public at Cinemateket in Copenhagen in April. In July this year Nattefrost headlined along with Biosphere at the Norberg Festival in Sweden. The 15 year anniversary came in October 2010 and to celebrate it Jeppesen released his “Dying sun / Scarlet moon” album with brand new studio material. Again with guest appearances. Synth.nl, Matzumi and Jerome Polenz were collaborating with Jeppesen this time. The same day (9th October) Nattefrost performed at the E-Live Festival in the Netherlands. Nattefrost started 2011 doing a live radio concert in Hamburg, Germany. Soon more live shows would follow, 3 more in Germany and a few in his home country Denmark. Along with Turboweekend, Bjørn Svin and Wong Boys, Nattefrost performed on the main stage at No. 9 Festival in Silkeborg, Denmark. On the 28th May the new album “Tracks from the archives Vol. II” was released. Like Vol. I it includes previously unreleased tracks, demo versions of known Nattefrost tracks, collaborations, remixes for other artists and remixes that were done for Nattefrost. Also a live track from the concert in the Netherlands in 2010 was included. Nattefrost is known for also collaborating with other artists on a few tracks on several of his albums. So far he worked with Robert Schroeder, Trans-X, Synth.nl, Matzumi, Timescape, Jerome Polenz, Alouise, Dithmar, Stefan Erbe and many more. The conclusion must be that even some fans claim that Nattefrost sometimes sounds a bit similar to artists and bands like Jean Michel Jarre, Tangerine Dream or Kraftwerk, Nattefrost has still got his very original sound in his music. You can hear a developement from each of the albums coming out. Even though lots of the elements from the previous releases are being kept there are always new ideas and a more fresh sounds on the next Nattefrost album. Developement and creativity is the driving force of Nattefrost. 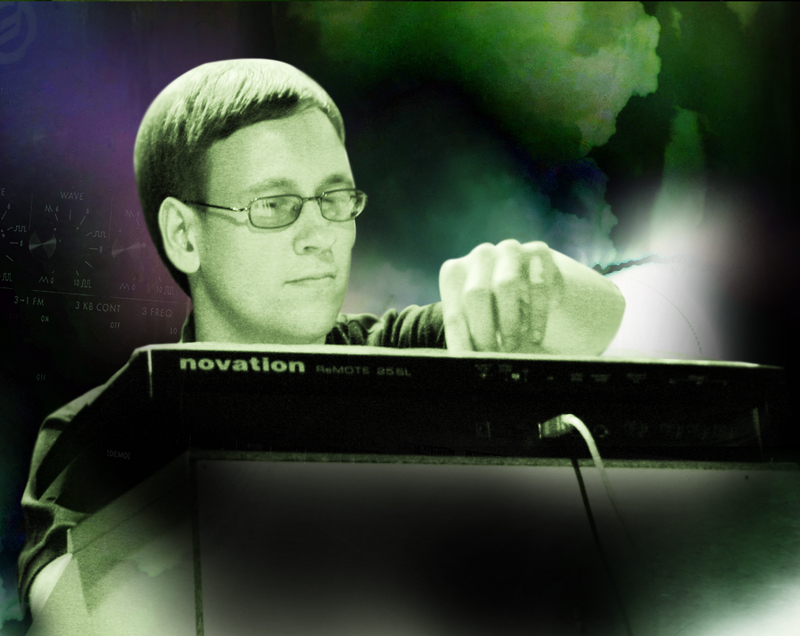 Jeppesen himself states his music as “Contemporary electronic music with vintage elements”. All in all Nattefrost has released 8 albums and 2 EPs and is included on more than 15 compilation CDs.